A discussion on addressing challenges involved in community noise issues at large outdoor music events and insights on the strategies they employed. Over the past decade, live music events have seen substantial growth: revenues exceeded $9 billion in 2017 according to PwC Global entertainment & media outlook. This remains consistent with a general consumer trend away from accumulating “things” and towards experiencing life. The corresponding increase in the number and size of music festivals has been paralleled by an increase in concerns and resistance from communities surrounding festival venues, with the most common and, well, loudest complaint being about noise. Not surprising, considering large festivals include multiple outdoor stages, attract tens of thousands of fans, and go on for days at a time. One of the youngest festivals, KAABOO, which just completed its fourth run (in September 2018), activates our senses with more than 100 acts performing over three days on several outdoor and indoor stages. With music at its core, KAABOO fills Southern California’s Del Mar Fairgrounds with comedy, gastronomy, large-scale art, and other performance events, offering extensive shopping, eating, playing, and relaxing opportunities. It bursts with sound that breathes life into the audience but morphs into unwanted annoyance as it expands outside of the festival grounds. And sound has this unfortunate habit of spreading like air, filling the space around it to reach both willing and unwilling ears. 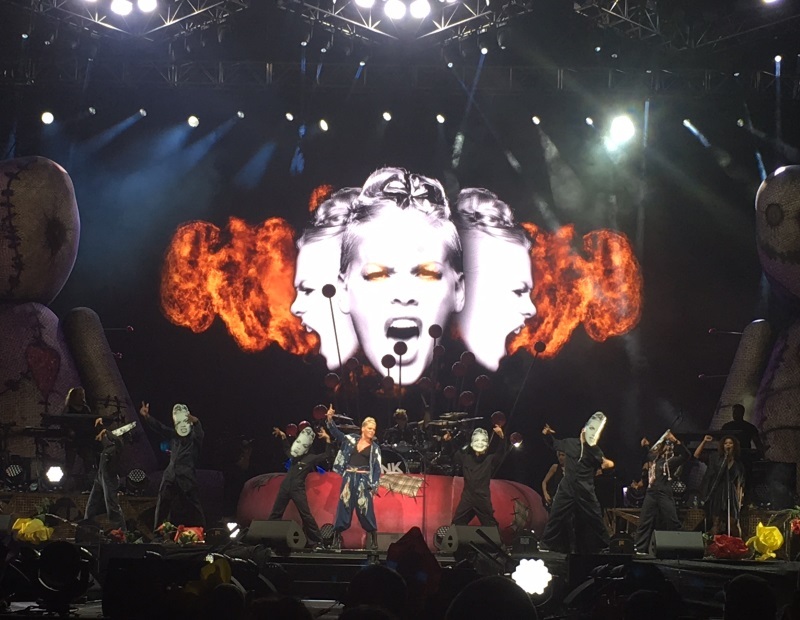 KAABOO 2015 made loyal fans of its patrons but generated extensive community complaints and media coverage related to noise, tasking the event’s producers with doing better or risking being unable to return in years to follow. Since then, substantial investment in relevant human, material, and time resources has helped transform the event from the surrounding communities’ and local governments’ favorite noise villain to a cultural and fiscal vitality catalyst. 3) community engagement for shared understanding of the available possibilities. In this discussion, they share how they addressed the challenges involved in surmounting community noise issues associated with large outdoor music events and share the strategies they employed at KAABOO. ProSoundWeb (PSW): What are some sound system design practices that help mitigate community noise from large outdoor music festivals? Patrice Lavoie (PL): There is no single magic bullet design that fits all situations. Event specifics play a huge role in effectively and efficiently incorporating relevant theoretical and practical resources. These specifics include site infrastructure, capacity and orientation, layout of permanent and temporary structures, expected crowd flow, and any history of past noise complaints. The key requirement—beyond good understanding of the physical, perceptual, aesthetic, and communication issues involved—is sound reinforcement technology that can accurately and reliably control audio frequency and level distribution in space. Given the differences in near and far field sonic behavior, regardless of site orientation and layout, it is always best to try and limit near field spread within areas where sound is absolutely needed. 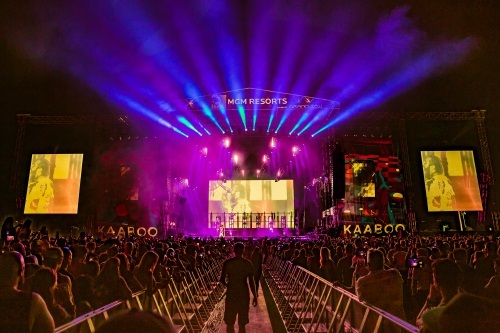 The beauty of KAABOO is that we have control of all major stages and this gives us the flexibility to make coordinated adjustments to the systems and prepare appropriate response plans—such as changing the effective size of an array or the spread of a distributed system—should last minute or real-time modifications become necessary.